King Vendrick "had a dear Queen, a woman of unparalleled beauty. Long ago, the Queen came to us, alone, from a faraway land." The queen, Nashandra, has a secret, Dark and ancient. She is the smallest piece of Manus, the Father of the Abyss. Long ago, after his defeat in the lost land of Oolacile, he split into miniscule fragments. As the fragments recollected, they assumed a human form. 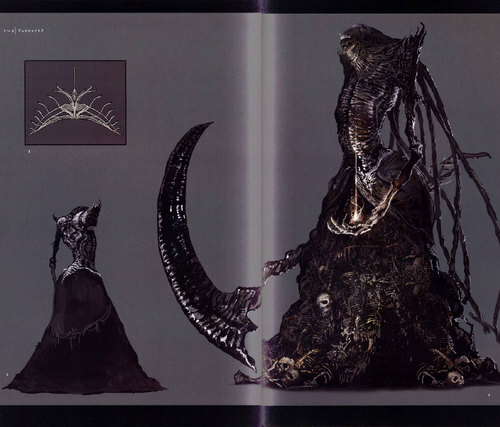 Nashandra is a child of dark, one of the abyss spawn, a confounded quintessence of Manus and his Dark Soul. Like her sisters; Nadalia, Elana and Alsanna, Nashandra is a fragment of Manus’ emotions. She represents wrenching desire. When Manus was defeated, the Abyss dissipated. 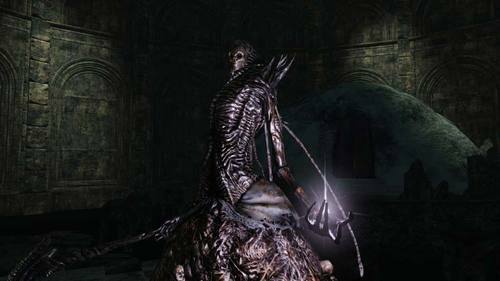 However, Manus was reborn in death after his soul split into minuscule fragments and spread across the land (perhaps Lordran). The pieces began to coalesce again, becoming human in shape. After taking their shapes, these fragments courted monarchs of considerable power, of which they desired to make their own. Nashandra was born of the Dark with an insatiable lust for strength. She was tiniest of the shards of Manus. Precisely due to its size, this piece was the first to restore its form and sensing its own fragility, yearned for what it lacked; strength. 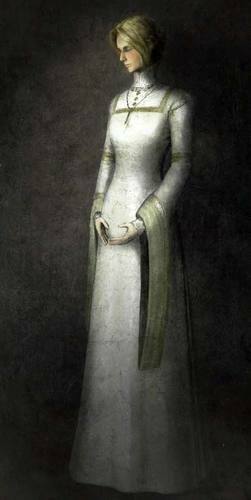 Nashandra came to Drangleic alone, from a faraway land. She was a woman of unparalleled beauty and Vendrick made her his Queen. She became his dear “‘Shandra”. At this stage Vendrick was likely unaware of Nashandra’s true nature or that she had any other motive than to be with him. But impelled by her own cravings, Nashandra had become obsessed with the King’s soul. How Nashandra had heard of the Giants is not known. She may have come from their land to the North, or she may have seen the Golems leading to the Throne of Want somehow and realized their connection (unlikely). Regardless, Nashandra advised Vendrick that he may step closer to fire (perhaps gain access to the Throne of Want, but more likely, further fan his brightly burning soul in an attempt to stave off the Curse, a lie, but he knew no better) if he conquered the Giants and made their power his own. Nashandra herself wanted the Giants power for her own sake and therefore strove to make the Giants’ strength her own. The people were told a different story. Chancellor Wellager tells us that the Queen warned Vendrick of the looming threat across the seas… of the Giants. The people were given a reason to go to war, so that they would not lose faith in their King despite his act of misguided barbarism. In adherence to his Queen’s council, Vendrick crossed the seas with his Queen at his side and led his armies north in an effort to subjugate the Giants, and claim their powerful souls (an invaluable prize) for his own. Vendrick took prisoner the Giants, and brought them back to his castle (we know that the Castle was built after conquering the Giants, so perhaps Vendrick had another castle – perhaps it was Aldia’s Manor) clapped in irons. King Vendrick commandeered the power of the Giants’ souls, which allowed him to create the Golems. With the Golems the King created his castle; Drangleic Castle, to celebrate victory and to show his love, his gratitude to the Queen. The victory brought about an age of peace for the Kingdom. It was during this time that Nashandra ushered in an Age of Dark. Chancellor Wellager says that the Queen brought peace to their land and to her King. A peace that was so deep, it was like the Dark. King Vendrick himself says that his dear ‘Shandra spread dark with no relent. However, despite all this and even after his modest triumph, Vendrick’s countenance could be seen to grow darker with each passing day. His defeat of the Giants did not bring him the solution he sought so desperately; a cure to the Curse that afflicted him and his people. He had chosen a different path to the Kings of yore, to embrace the Dark and never take the true Throne, to become a Dark Lord. His Kingdom had entered an Age of Dark that may have brought a form of peace to the people, but did not halt the onset of the Curse. He had removed the Firekeepers from their posts and allowed the flames to die out. But still the Curse’s slow march withered his Soul, and due to the magnificence of the King’s great soul, the Dark was beckoned more quickly. Shadow is not cast, but born of fire, and the brighter the flame, the deeper the shadow. So, in desperation Vendrick, with his brother Aldia, sought another way to break the cycle of the Curse that had eroded and destroyed so many kingdoms before him. To do this Vendrick peered straight into the essence of the soul. Both the siblings sought a way to overcome the Curse and pursued any means of attaining it. The true nature of Nashandra must have dawned on Vendrick during this time. What she had promised him had not been delivered, and had even furthered her own goals and power. When we speak with him in his memory, Vendrick denounces Nashandra as a foul creature, a feeble tiny thing that thirsted for power more than any other. He realized that she was driven by insatiable lust for a “worthy vessel”, a vessel that could hold the Great Soul. 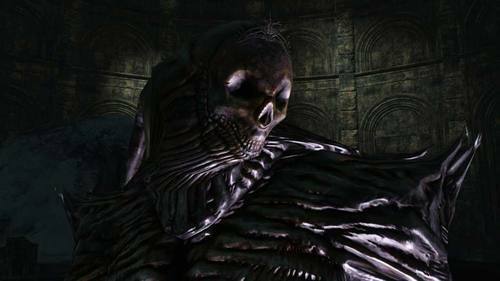 The Great Soul is a soul that is able to burn upon the Throne of Want and allow souls to flourish anew, essentially what the player has by the end of Dark Souls 2. All along, Nashandra sought the King’s soul, but he would not let her have it. The King’s affectionate exaltation of the Queen turned to resentful mockery. Then the Giant’s came. They landed on the northern shores of the kingdom, and set siege to King Vendrick’s castle, hoping to reclaim their kidnapped comrades. But the Giants were dead, their souls taken and abused in experiments. The Giants are no ordinary barbarians, a singular rage burned within their hearts. Captain Drummond’s father and his father, both fought the Giants in Drangleic. The Giants had wills of steel, they could not find it within themselves to forgive the misdeeds of King Vendrick. The Giant Lord conquered the land of Drangleic and brought it to ruin. It has been a pile of rubble since the war fought long, long ago. However, as the war with the Giants reached its ferocious peak, King Vendrick disappeared, leaving his castle. Some swear that upon hearing the news, Queen Nashandra’s face remained as still as her portrait. But we can be confident she was angered beyond reason. King Vendrick, unbeknownst to Nashandra, had made the decision to leave her and deny her the Great Soul he possessed. Despite his many attempts, despite coming so close, Vendrick admitted defeat. He could not find a way to overcome the Curse that beckoned him towards the Dark. So he went to the Undead Crypt, a place where he might find peace under the guidance and care of the Fenito. The Undead Crypt is deeply immersed in Dark. This is because the Dark allows those who are cursed to find a type of rest. Not a true death, but a state where they are at peace. Light only agitates these poor souls. Vendrick hid his soul in the Shrine of Amana, a marshland preceding the Undead Crypt, and made it only accessible by one who is truly human. Perhaps becoming a hollow was Vendrick’s final attempt at overcoming the Curse in some way, he was giving in to the only path that remained open to him and taking his true shape, despite being filled with uncertainty: “One day the fire will fade, and dark will become a curse. Dark will again be ours, and in our true shape we can bury the false legends of yore. Nashandra doesn’t seek to take the Throne herself, but simply fights you there because that is the point where your soul will be the strongest and brightest. She waits till you have access to the Throne because this proves to her that you have the soul she wants. Only a monarch can gain access to the Throne. Once you have proven yourself to her, by defeating the Throne Watcher and Defender and obtaining access to the Throne of Want through the Giant’s Kinship, Nashandra comes after you coveting your Great Soul. She is a prisoner of desire, trapped in her desire for power. A Great Soul is a bright soul, Nashandra seeks to make you one with the Dark. In other words, she wishes to take your soul thereby making you “Dark”, the natural state of man. She will kill you over and over again till she has what she wants. Though she is perhaps referring to the idea that the player is a fragment of Manus' dark soul as well, as she is trying to collect all these pieces together. We as the new monarch are to carry the weight of the people on our backs and find a solution to the Curse, the Cycle, that keeps coming back. To do this a new path must be taken, but how we get there or what that means is left for the King to decide, perhaps it is a return to a world of grey crags, archtrees and everlasting dragons?. Each king has his rightful throne and when he sits upon it, he sees what he chooses to see. Nashandra existed purely for her desire, her want and she found her place in the cycle as an ordeal to be overcome on the road to kinghood. It is known fact that when Manus was defeated, the fragments of his being were spread across the world. And, according to Dusk of Oolacile, "that creature from the Abyss … I quite clearly sensed certain emotions. A wrenching nostalgia, a lost joy, an object of obsession, and a sincere hope to reclaim it…" So, because she is made of a part of Manus, Nashandra may possess one or more of those emotions. The Scythe of Want description says, "The old one of the Abyss was reborn in death, split into minuscule fragments, and spread across the land. After regaining their shapes, they crawled forth, yearning for strong souls, in search of greater power." The Chime of Want continues this thought, "After taking their shapes, they courted monarchs of considerable power, which they desired to make their own." So, the fragments must all be queens or matriarchal figures. This is further supported by the Soul of Nashandra, which bears the description, "The fragments of the abyss, of untold origin, nourished their beings by the sides of would-be monarchs." Nashandra could be said to be obsessive, as evidenced by all the items "of Want" related to her. She is likewise described as a "prisoner of desire". 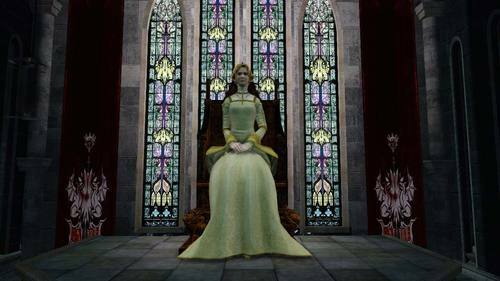 She manipulated King Vendrick, and surpassing him, remained on the throne, long after the king had hollowed. "You have fought admirably on your journey, cursed Undead. 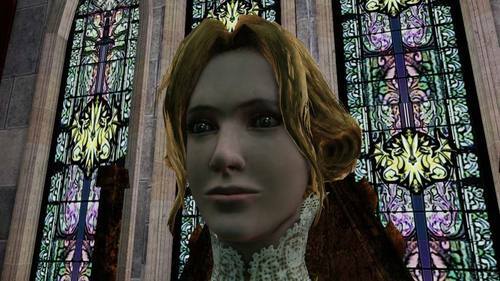 I am Nashandra, Queen of Drangleic. A true monarch carries the weight of their souls. He was less of a king than you might imagine. He found more strength, to face them. But in the end, he never took the true throne." We have no need for two rulers…"
"Brave Undead, seek the throne. Follow the symbol of the monarch, and do what must be done." "Brave Undead, what did that dragon tell you? That thing is a prop, a false deity. Don't be fooled, my Undead." "Seek the forest, you, where those wretched Giants slumber." "Brave Undead, you have proven yourself to me. Now, be one, with the Dark…"
You have fought admirably on your journey, cursed Undead. Brave Undead, your arrival here foreshadows your fate. A true monarch is much more than a ruler of men. But in the end, he never took the true throne. And now he lies in the Undead Crypt, wasting away. Brave Undead, perhaps you are the true monarch. I will wait here. For you to settle things. Brave Undead, seek a fiercer curse. Brave Undead, vanquisher of King Vendrick, and bearer of the symbol of the monarch. …we will require the throne. Brave Undead, follow the symbol of the monarch. Surely you have it in you. Brave Undead, seek the throne. Follow the symbol of the monarch, and do what must be done. Brave Undead, you've met that dragon? That living, breathing sham. A false deity, offering nothing. Seek the forest, you, where those wretched Giants slumber. Use the symbol of the dragon to delve into their thoughts. Brave Undead, to the forest. The Forest of Giants.